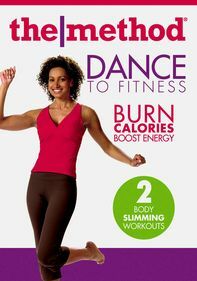 From Cal Pozo, former U.S. Professional Dance Champion and Broadway choreographer, comes this exciting dance workout led by acclaimed fitness instructor Lisa Wheeler, who breaks down the moves of some of Latin music's most popular dances. Keep the heart pumping and the calories burning as you shake it to the salsa, the cha-cha, the samba, the merengue and the rumba. Wheeler, also a professional dancer, demonstrates each move with ease.